In celebration of the 50th Anniversary of the San Rafael Wilderness, the Oak Group's exhibition In Wildnesswill open January 25th at the Atkinson Gallery at Santa Barbara City College. A reception will be hosted by the Gallery on January 25 from 4:00 to 6:00 p.m. so the public can meet the artists and Los Padres ForestWatch staff as well as other lovers of wilderness and art. Located in the Los Padres National Forest in Santa Barbara's backcountry, the San Rafael Wilderness was the first primitive area to be designated as wilderness under the Wilderness Act of 1964. The San Rafael is home to rare and endangered wildlife and among the wildest, most remote, and most rugged landscapes of California's central coast region. To earn permanent protection of the San Rafael Wilderness, local residents worked with members of Congress and conservation groups in Washington, D.C., laying the groundwork for citizen-based wilderness initiatives throughout the nation. Today, a half-century later, the San Rafael remains the largest permanently protected open space in Santa Barbara County, featuring landmarks like Hurricane Deck, Castle Rock, Manzana Creek, Sisquoc River, and Big Pine Mountain. This art exhibition is inspired by the words of famed naturalist Henry David Thoreau, who wrote "In Wildness is the preservation of the world." 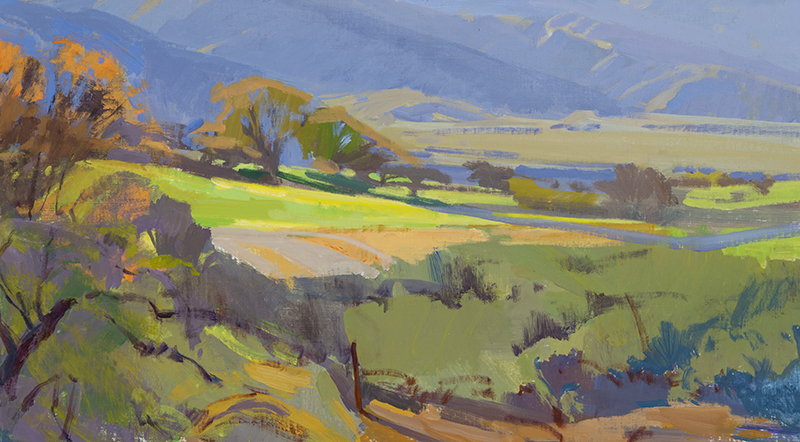 A portion of the proceeds from each painting sold will benefit Los Padres ForestWatch, a local nonprofit organization dedicated to the protection of wilderness, wildlife, and clean water throughout the Los Padres National Forest, the Carrizo Plain National Monument, and other public lands along California's central coast. For more information: The Oak Group: oakgroup.org.